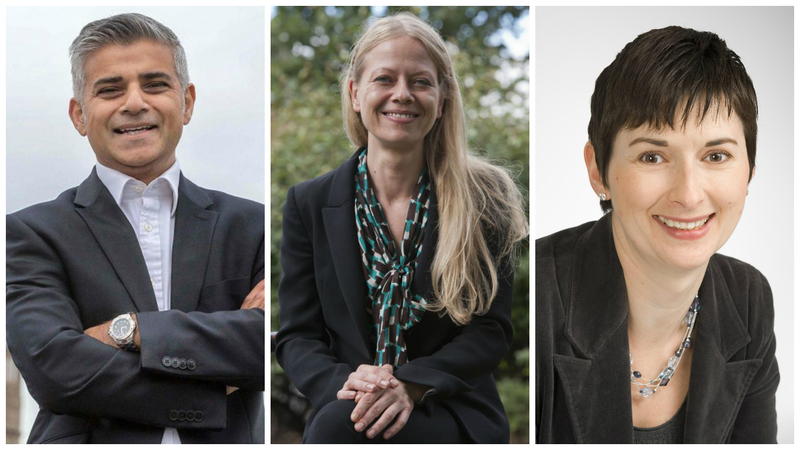 Property portal, TheHouseShop.com, have spoken exclusively to the 2016 London Mayoral candidates Sadiq Khan, Caroline Pidgeon and Sian Berry to hear their thoughts on the issues surrounding disability and housing. The candidates reveal their housing plans and their commitment to accessible housing policies for London's 1m disabled residents. Housing has become a defining policy issue for the London Mayoral candidates, as spiralling house prices, rising rents, and a substantial lack of supply, take their toll on London’s 8.6 million residents. However, the issue of finding affordable and suitable housing becomes even more acute for the 14%*, or over 1 million Londoners, who identify themselves as disabled. TheHouseShop’s Franki Chaffin-Edwards spoke exclusively to the 2016 London Mayoral candidates to find out how disabled-access and accessibility fit into their plans for the future of London’s housing market. “It’s really important that the new homes we build for Londoners are not only accessible financially, but accessible for those with disabilities. I’ll make sure, as Mayor, that all new developments are built to Lifetime Homes standard and 1 in 10 of all new units are wheelchair accessible”. Sadiq Khan was not the only candidate to commit to these policies, as both Sian Berry and Caroline Pidgeon also announced their intentions to maintain the Lifetime Homes standard and the minimum 10% wheelchair accessible requirement. It will be interesting to see whether the candidates can keep their promises once in office, as the Conservative government have recently scrapped the Lifetime Homes standard in favour of the more technical ‘Category 2: Accessible and Adaptable Dwellings’. “We really welcome this report from TheHouseShop because it demonstrates the urgent need for action to ensure that these existing plans are being implemented to the benefit of London’s disabled community. “We should take heed of the wise words of Alf Morris, the UK’s first disability minister, who quite rightly highlighted how some form of disability could face nearly all of us in old age, when he bluntly stated: “die young or join the club”. “However these policies, while vital, are not alone sufficient. TheHouseShop has provided a valuable service in drawing attention to the specific problems relating to the poor marketing of accessible homes. It is, for example, quite unacceptable that sales representatives don’t even understand the basic difference between Lifetime Homes (which are built to be easily adaptable) and homes that are already wheelchair accessible. With increasing deregulation at central government level, the winner of the Mayoral election will be instrumental in determining the future of accessible housing for London’s disabled community. But while the future for London’s accessible housing market seems bright, the same cannot necessarily be said for the rest of the UK, so we must continue to strive for a housing market that works for everyone. As a disabled person looking for a new home, your options are severely limited. Existing housing stock is poorly categorised when it comes to accessibility, and it is nigh on impossible for a disabled home-hunter to find a property that will allow them to live independently through the traditional means. This is why the government’s accessibility policies, laid out in the London Plan, have been crucial in bringing new build accessible homes onto the market. A recent report looking into the implementation of accessible housing policies in London has found that forward-thinking policies have been severely undermined by ineffective training and marketing. The publication of the report by property portal TheHouseShop.com, comes just as the government have announced their intention to scrap the Lifetime Homes initiative and move away from mandatory requirements on accessible property provision. TheHouseShop.com is the UK’s first whole-market property portal, showcasing listings from direct sellers, private landlords, online agents and high street agents, all in one place. We are the only major portal where consumers can advertise their homes, for sale or to rent, alongside professional listings - unlike other agent-only portals. We have over a decade of experience working in the accessible property niche market and we have developed an accessible property search that allows disabled home-hunters to filter property search results by accessibility. TheHouseShop have recently taken over the UK’s largest dedicated accessible property website, The Accessible Property Register, and are now offering a comprehensive marketing service for accessible homes to both estate agents and individual homeowners.